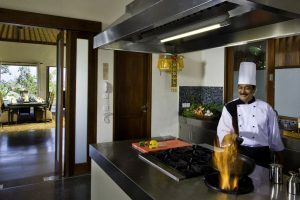 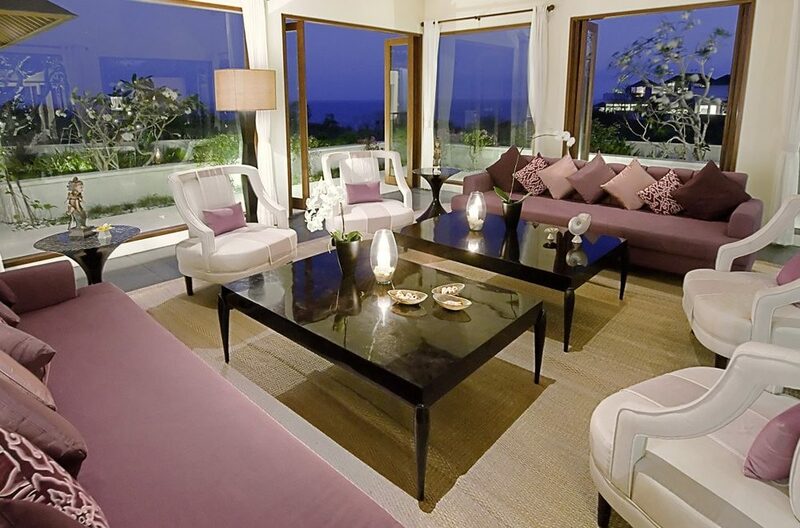 The living, dining and media areas provide world class furnishings, fittings, decorations and ammenities. 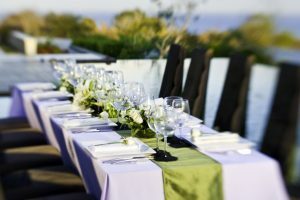 The commercial kitchen can cater for events of up to 300 guests in a buffet or cocktail dining format. 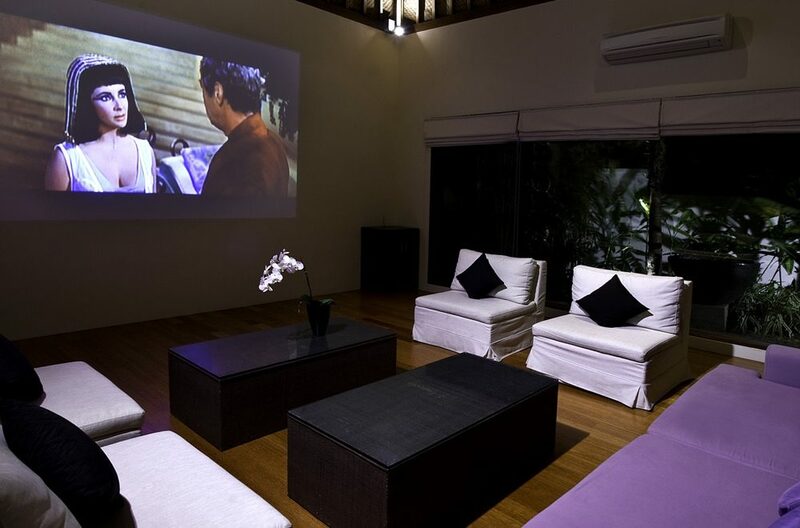 The 10 seater dining table is located next to the pool deck and the cinema room provides comfortable sofas and a state-of-the-art home movie entertainment centre with surround sound. 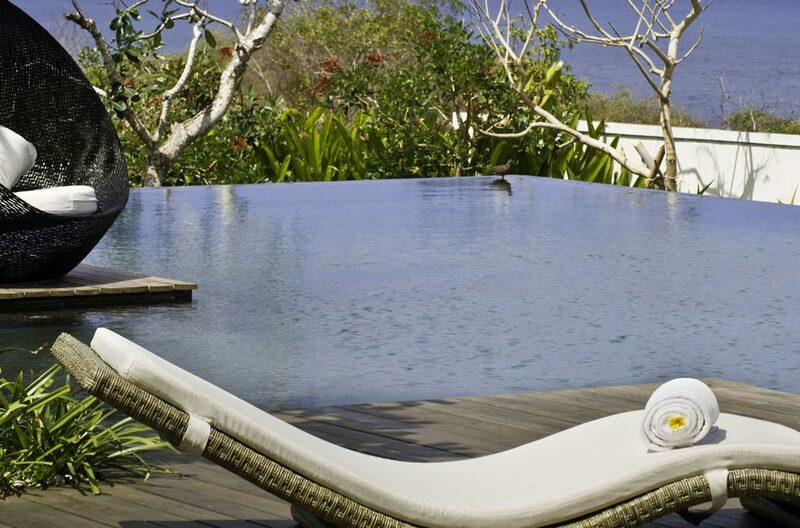 The large infinity ppol offers a generous timber sun deck and dramatic ocean views. 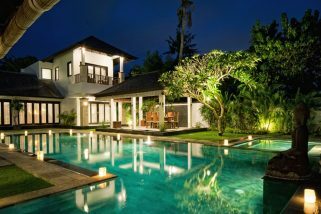 Five bedrooms comfortably accomodate 10 guests. 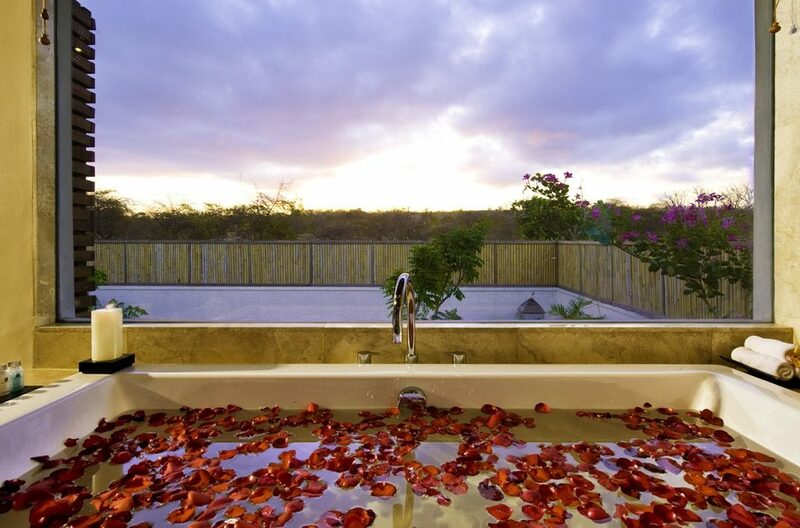 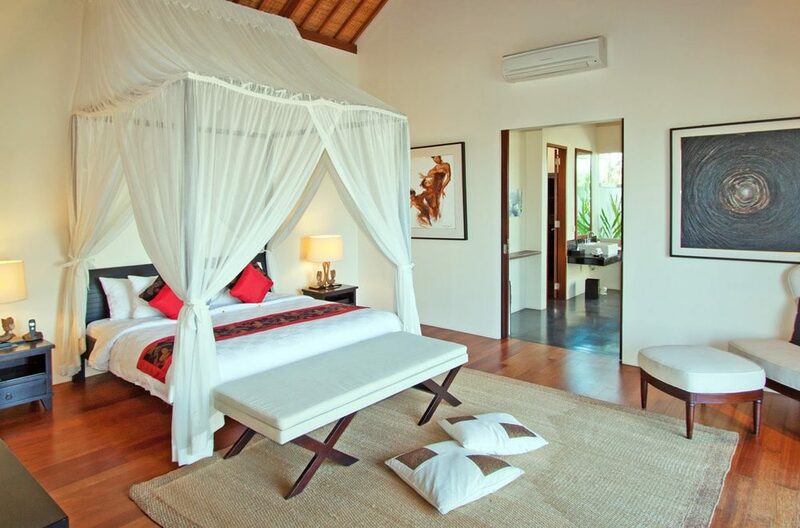 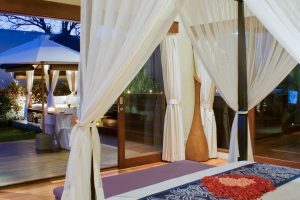 The master suite boasts a king size bed, indoor/outdoor en-suite, private deck with plunge pool and gazebo. 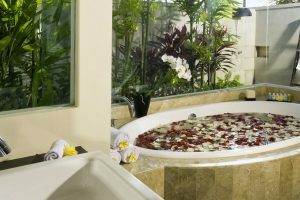 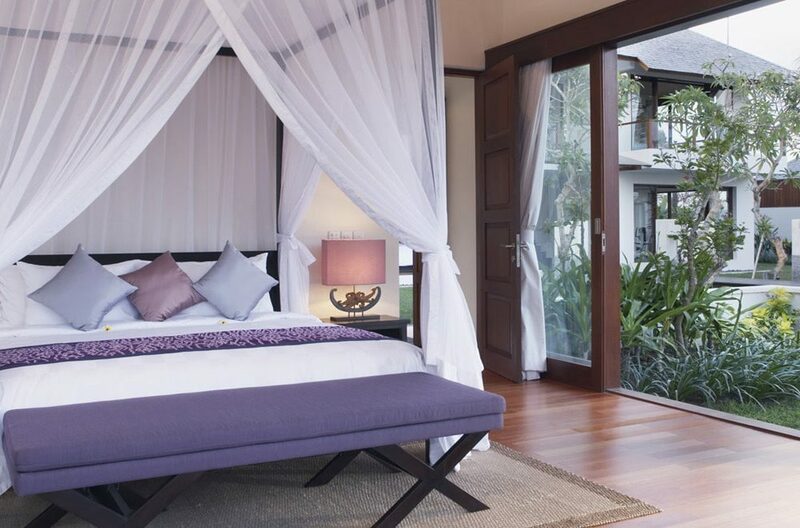 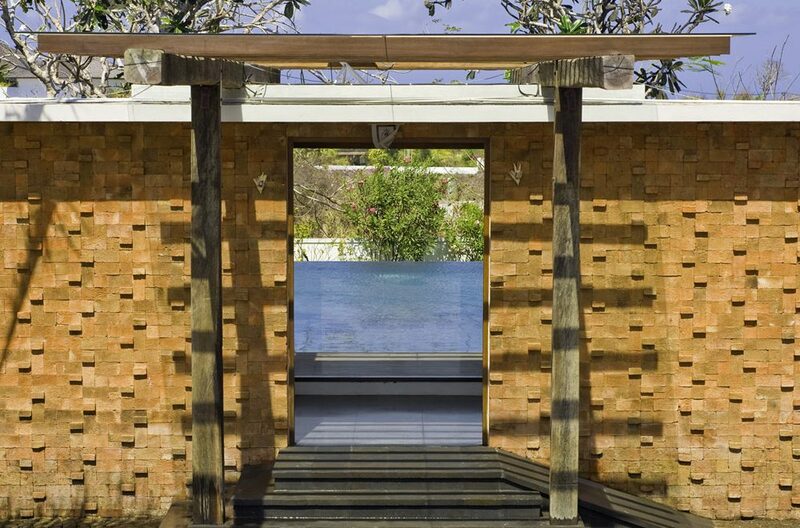 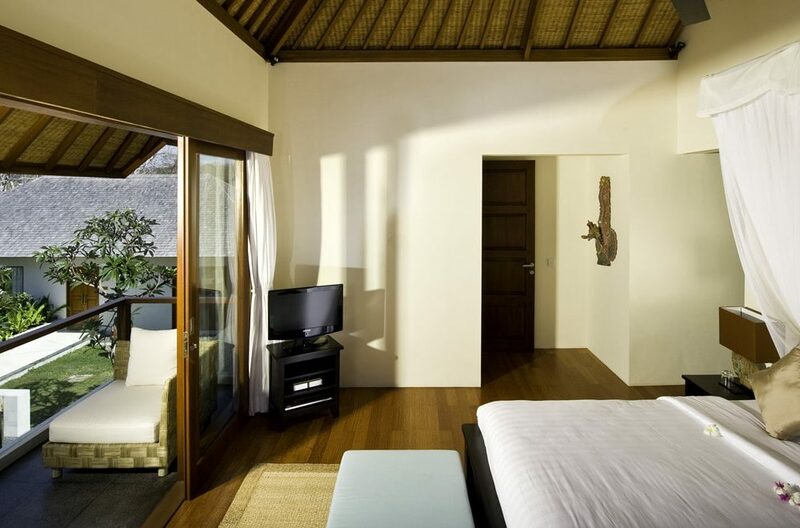 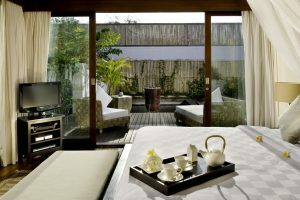 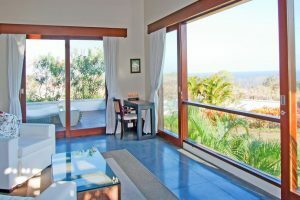 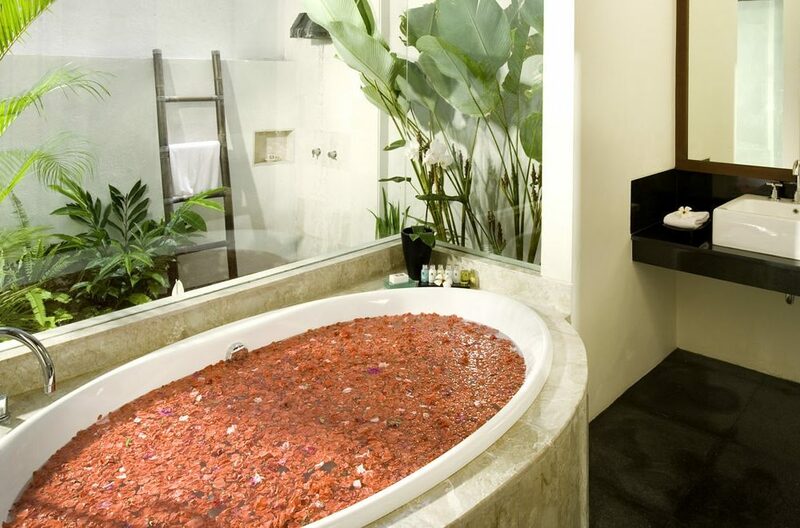 All rooms feature romantic canopied beds with luxury cotton linens and all suites lead out to meet expansive gardens. Bathrooms feature jet baths for two, twin wash basins, separate shower with rain showerheads, walk in wardrobes and bathroom amenities. 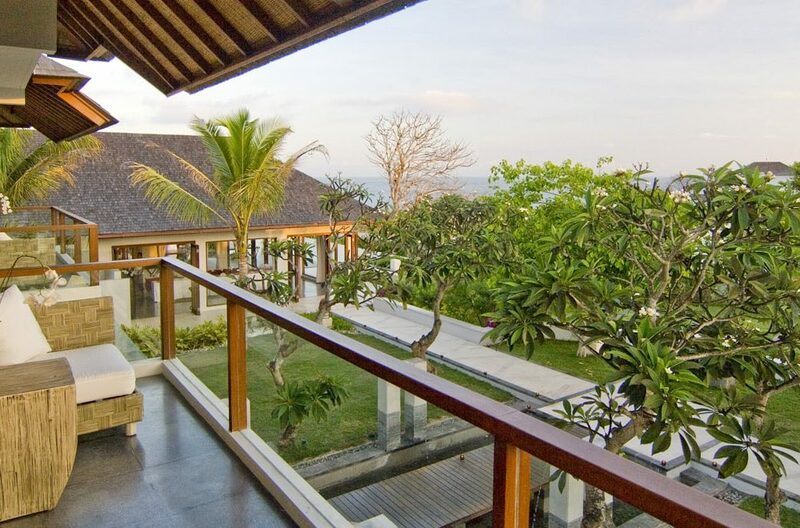 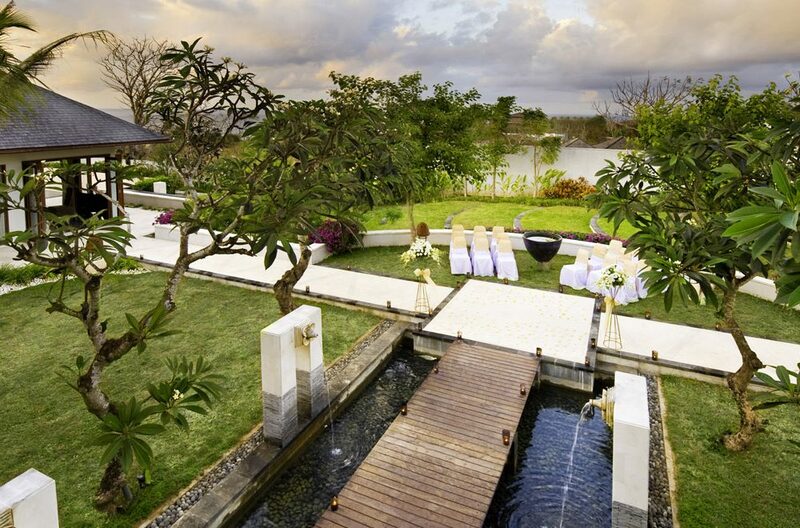 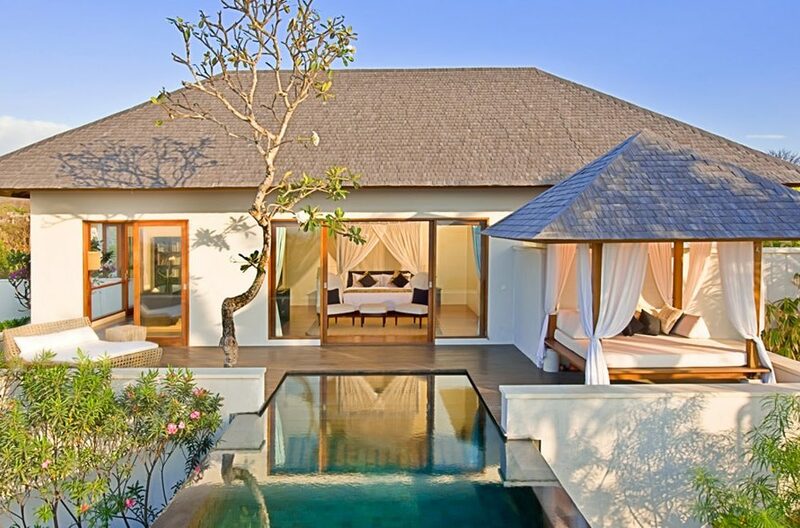 Nusa Dua is a strategic location with an array of hotels near by and pristene beaches. Bali National Golf Club is a short drive away and guests can take a short drive over the new highway to Sanur or head up to the Bukit Peninsula. Elegantly furnished with the finest beds and linens, this spectacular Residence is unequaled in size within the area. 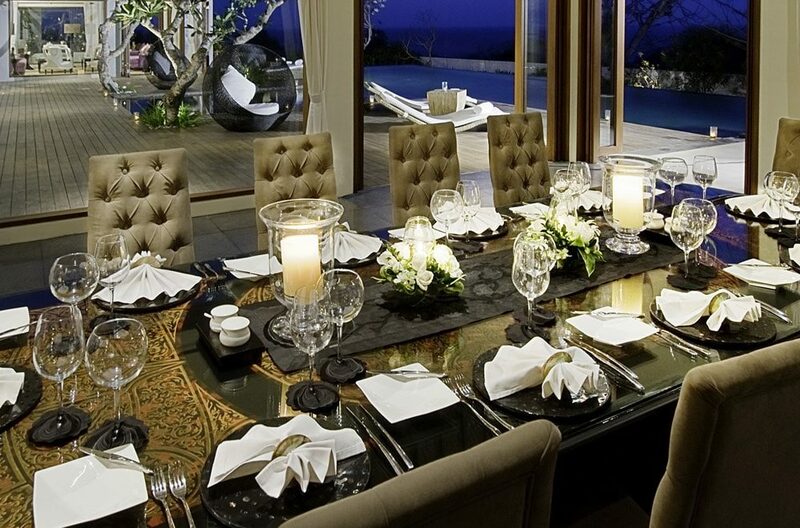 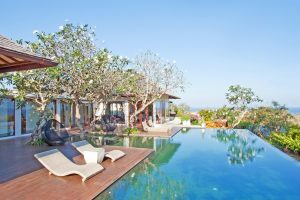 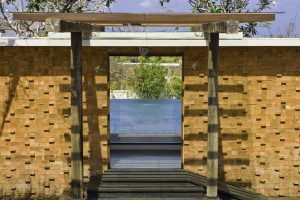 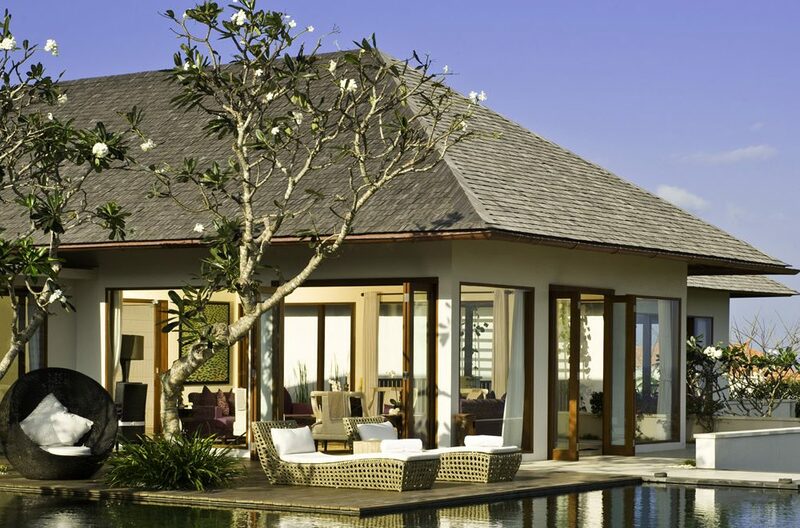 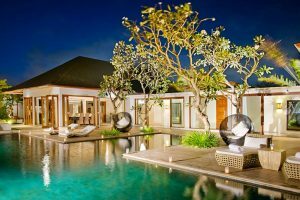 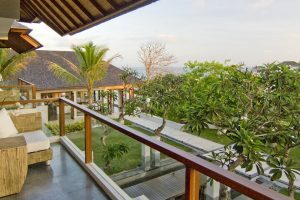 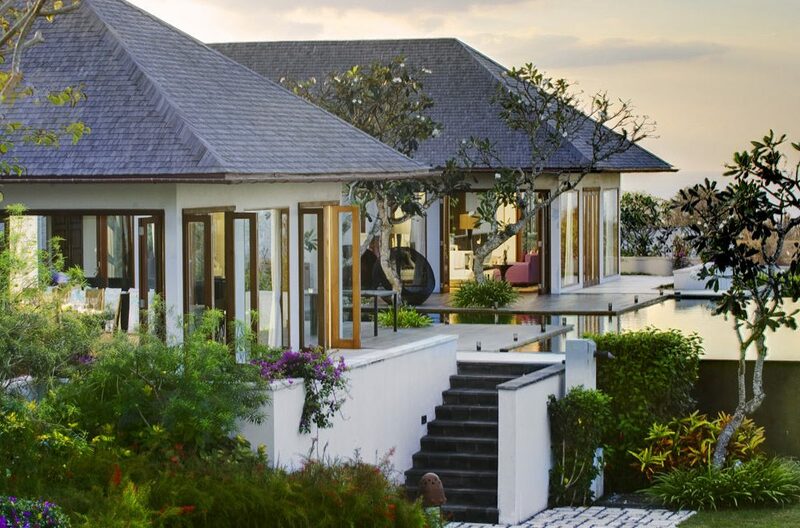 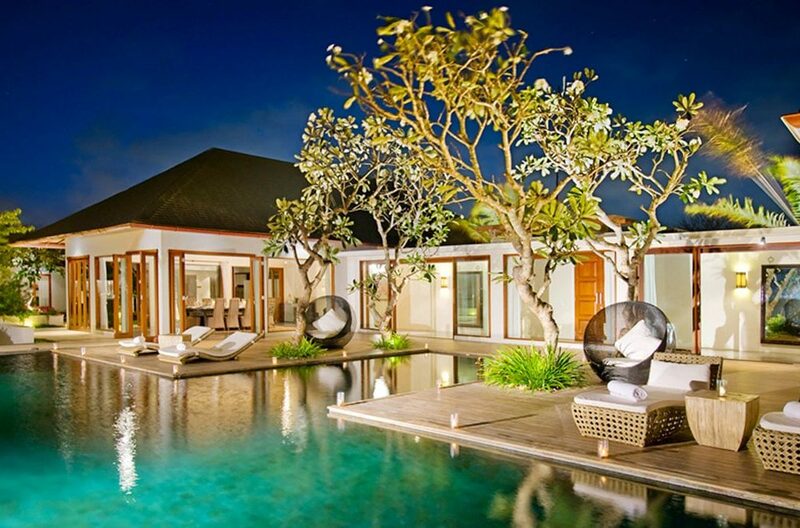 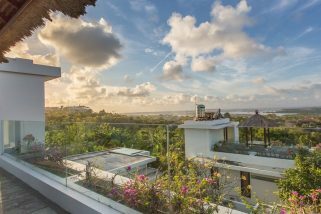 Villa Selamanya is located within a private villa complex on the edge of a broad-water in the popular resort area of Tanjung Benoa.